When it comes to images in email marketing, size matters. 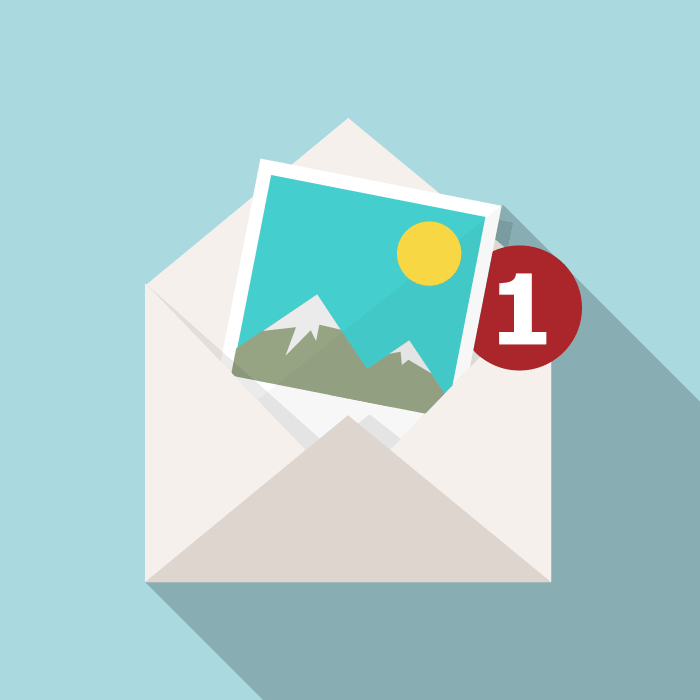 We dive into the what, why and how of using images in email campaigns. Recently we’ve been looking at creating images for your website and using images with social networks. But what about email campaigns? If you’re serious about growing your business and engaging your audience online, then you’ll be sending out regular content to your subscribers using an email marketing provider. And if you’ve been following our blog posts, then hopefully that provider is the awesome MailChimp. As we explained in our Guide to creating images for your website, the size of your images can have a huge impact on the performance of your website, and therefore the engagement levels of your audience. But did you know it’s exactly the same for your email marketing? If you drop a huge image into your email campaign and fire it off to your readers, it can cause way more harm than good. The email will be slow to open, slow to load, and you could lose your readers’ interest before they’ve even had a chance to read the content. Not to mention clogging up your own media library with unnecessary file space. MailChimp kindly warns you when you’ve uploaded an image that’s way too big, by telling you that it may obliterate inboxes! You can see this in the screengrab below. What size should my email images be? As you can see in the above screengrab, we’ve tried to upload an image that’s 5000 x 5000px (pixels). This is huge! This will ensure your image will upload into your library quickly and the email will open promptly, without any dreaded inbox obliteration! It’s possible to upload a huge image into MailChimp and then resize it using their editing tools. If you were to click on the ‘Let’s fix it’ link in the above screengrab, you’d be taken to a screen which would allow you to adjust the width and/or height accordingly. However, we don’t recommend doing this. It’s far better to resize your image before uploading it into your MailChimp library. This way, you’ll be dealing with a smaller file size to begin with, plus you can control the exact dimensions. It’s far better to resize your image before uploading it into your @MailChimp library. For more info on resizing images, check out the ‘Resizing your images’ section of our Social media image guide for Facebook, Twitter & LinkedIn. Good point! We’d suggest that you always compress your images before uploading them. This is particularly important for email marketing, as so many of your readers will undoubtedly be checking their emails on phones, tablets and other devices. People tend to be even less patient when using a portable device! Once you’ve resized your image to around 600px wide using Pixlr, or other image editing software, you should compress it using TinyPNG. This will reduce the file size even further, without compromising on quality. Simply upload your image to tinypng.com, let the panda do his thing and then download the newly compressed file. Or, you can now install the free tinypng wordpress plugin that automatically compresses your image and replaces the original when uploading to your image library. How cool is that?! For more info on image shrinking, check out the ‘How can I reduce the file size?’ section of our Guide to creating images for your website. Can you take care of my email campaigns? Yes! Wildheart can manage your email campaigns for you as part of our content marketing packages. This includes sourcing, resizing, compressing and uploading suitable images for each campaign we send out. No-one knows your business like you do and no-one knows content marketing like we do. Together we’ll dissolve your marketing headaches so you can get back to doing what you’re good at. Book a free consultation and let’s discuss the details.